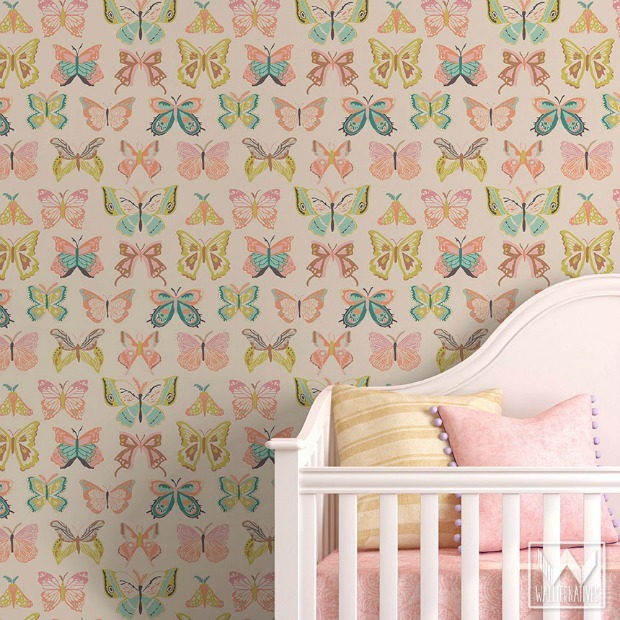 Your little girl can be falling asleep counting butterflies with the Wingspan Bonnie Christine Removable Wallpaper. With an array of soft colors such as pink, green, and blue, this pattern makes it easy to coordinate with other décor. When she grows out of her own cocoon, you can easily remove and replace the wallpaper. Ask any mother… they grow up SOOOO fast! 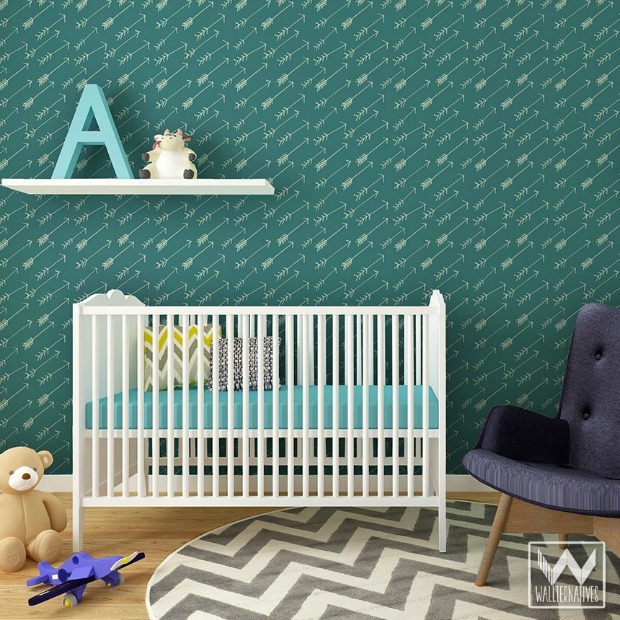 With boys’ nurseries, you can have fun with decorating with bolder patterns and crisp lines. Take your little man on a journey with the cute Adventure Bonnie Christine Removable Wallpaper. This arrow print pattern is shown in teal and makes quite the graphic statement! The Summit Bonnie Christine Removable Wallpaper comes in 3 different hues, but we are crushing over the dark blue hue. 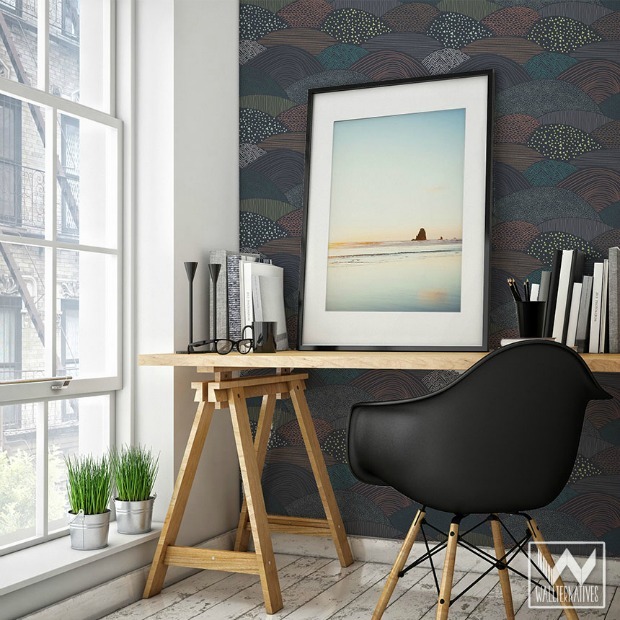 This modern pattern is perfect for decorating a dorm or home office. The rolling hills inspire adventure and beckons college students to explore – whether the journey is riddled with dramatic mystery or lighthearted fun is up to them! 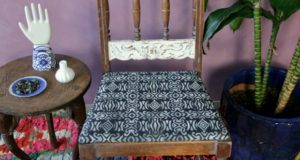 Okay, okay the hottest home décor trend has to be patterned stairs, but how do you get that look without ruining your home? 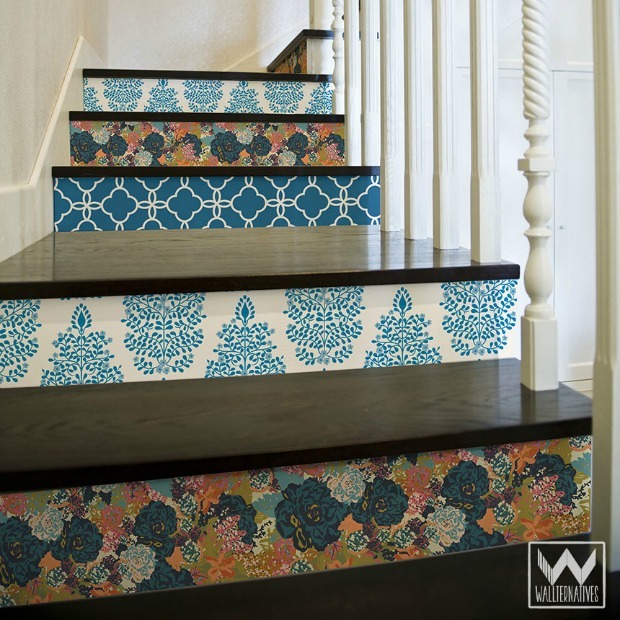 Wallpapering your stairs with Wallternatives patterns is the easiest way you can style your stairs and here’s how: Measure your stair risers, then cut the wallpaper to those dimensions, and then peel and stick! That’s it! And better yet, since Wallternatives wallpaper is REMOVABLE, you can change up your stairs with whatever style you want at the moment. 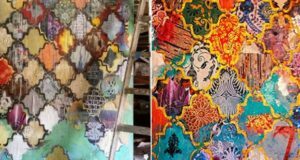 The Persian Garden Damask, English Garden Bari J, and Eastern Lattice Moroccan Removable Wallpapers are what are shown above. 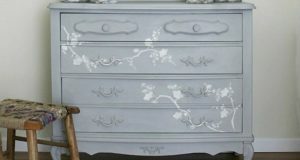 An ingenious DIY idea that we’ve been seeing a lot lately is decorated closets! No matter how your closet is laid out or shelved, the Budquette Bari J Removable Wallpaper can be peeled, stuck, and cut to fit the exact dimensions. 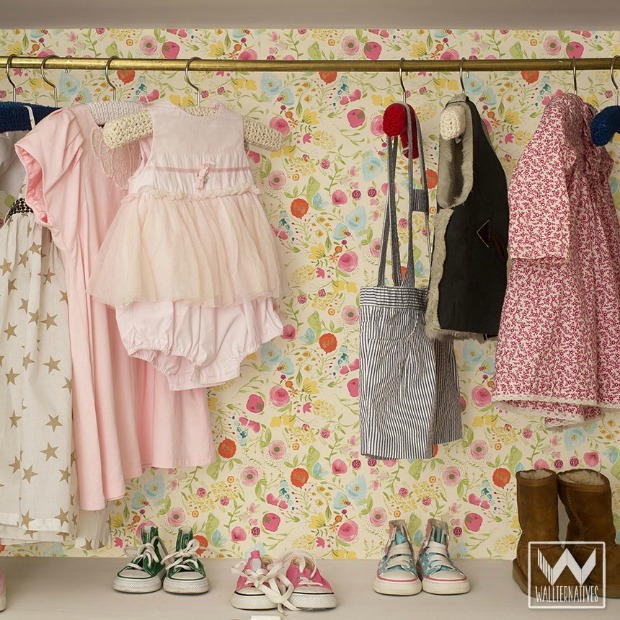 Once you wallpaper your closet, you’ll want to throw those doors open! Rental homes and apartments can be typically boring and humdrum if you don’t decorate it to your own style. Even with furniture moved in, the walls can look bare and beige. 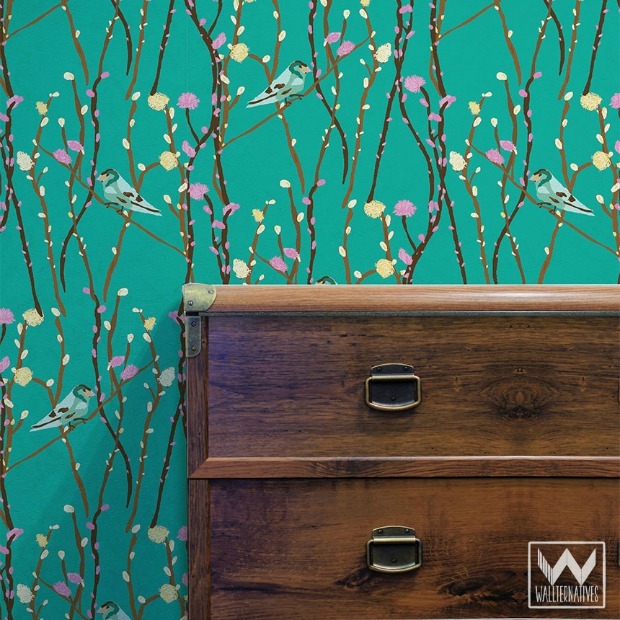 To get over that decorating hurdle, you can stick the Pussywillow Bari J Removable Wallpaper to your walls! 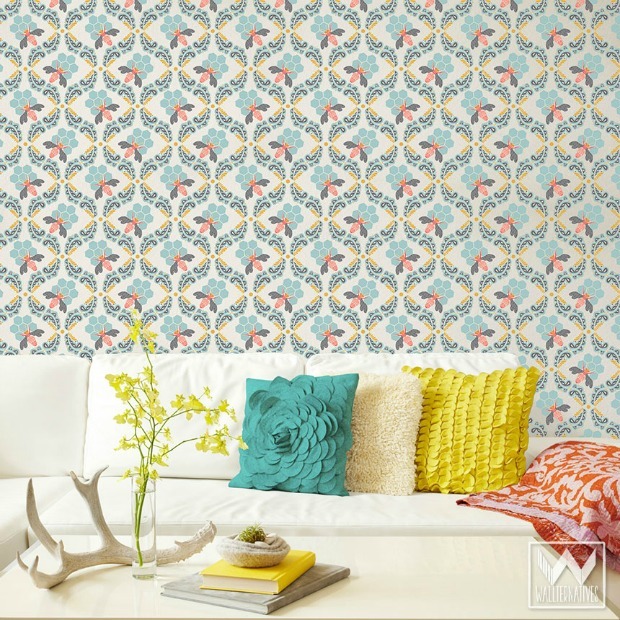 Nothing says a new beginning at a new apartment like a springtime pattern! Buzzz buzz… did you hear that? That’s the sound of everyone making a bee-line straight to easy peel and stick Bee Sweet Bonnie Christine Removable Wallpaper! The trellis and hexagon patterns give this living room a modern twist. The mix and match pillows add to the fun! 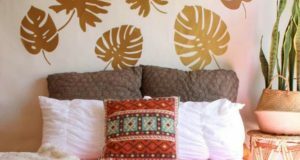 These are just 7 great examples of what Wallternatives Removable Wallpaper can do. We can’t wait to see what you do with it in your home! Be sure to share your pictures with us at projects@royaldesignstudio.com or post them on Facebook. What’s up to every one, the contents present at this website are genuinely remarkable for people experience, well,keep up the good work fellows.